Concrete is widely used in the construction of buildings, bridges, tunnels and more, and is usually stabilized by sand, stone and other performance indicators to improve its quality stability. 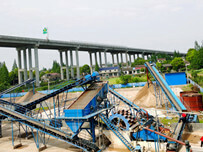 Therefore, the dewatering screen is necessary to improve sand quality. 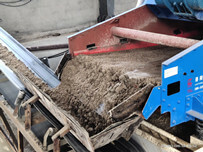 In the processing of stone materials, due to the intense collision and the stone itself has some soil content, so sand contains some amount of stone powder and mud powder. The presence of mud powder will seriously affect the grading of sand. However, the presence of stone powder can make up for the large gap caused by artificial sand in concrete, large water demand and poor fluidity. 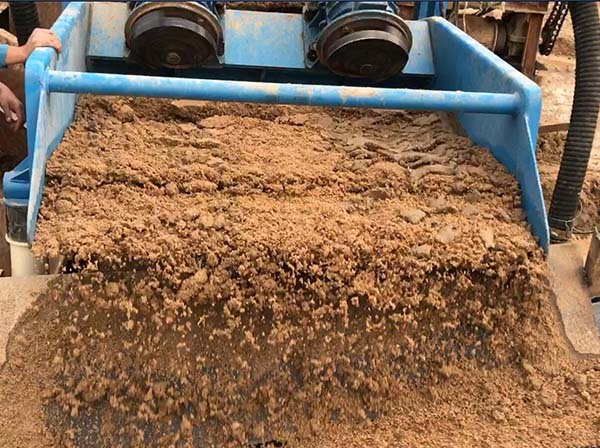 In order to solve the problem of the amount of artificial sand containing powder, sand dewatering screen appeared, which can remove the mud powder mixed in sand and effectively reduce the water content down to 8%. So that the sand reaches the standard of building sand. 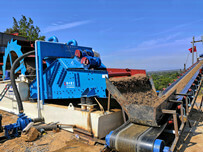 This is the key role of the sand and stone dewatering screen, which is lacking in the artificial sand production line. 1. Usually, the addition of mineral powder is beneficial to improve the durability of concrete. 2. 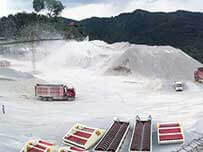 Improve the impermeability of concrete, the volcanic ash effect of slag, and the formation of more CSH gel, which increases the fatality of the structure. 3. To improve the resistance of concrete to sulfate attack, the main mechanism is that the concrete has improved impermeability. 4. Increase resistance to acid attack.